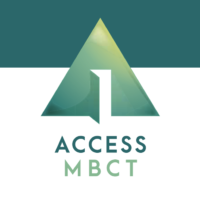 ACCESS MBCT was launched in November of 2017 with the goal of a providing a freely available, searchable, standards-based international registry of MBCT therapists that will help the public find MBCT therapists who practice in their community. Based on simple quantitative metrics, our first year of operation has been a success; ACCESS MBCT has 160 registrants representing MBCT practice in 23 countries. This rapid uptake has been achieved with a minimum of resources devoted to marketing and promotion, although, Sharon Hadley, the site administrator did produce some very attractive coasters that were distributed at a number of conferences and are now widely coveted among MBCT cognoscenti! Looking further at the geographic distribution of our membership reveals some interesting and unexpected trends. France has the highest number of registrants – 50, with Belgium second at 20 and Canada third at 19. One way of understanding these numbers is that perhaps ACCESS MBCT is more popular in jurisdictions where mindfulness based programs have only recently taken root. The structure and clarity ACCESS MBCT provides in defining adequacy for teaching MBCT may be especially helpful for those seeking training and the assurance that such training, even if it is multi-step, would be recognized. 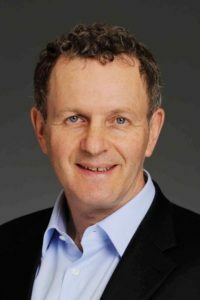 There may be less of an incentive for joining ACCESS MBCT in jurisdictions, such as the US, where a myriad of mindfulness based programs already exist and the case for the register’s value must be made amidst a cacophony of programs often featuring their own schemes for certification/accreditation. While it is fair to say that few of these programs are as public facing as MBCT, in the sense of helping the public find local instructors, this feature of the register seems less vital in the US. It will likely take lots more data to see whether these speculations prove to be true and in the meantime, ACCESS MBCT is happy to continue with business as usual. Looking at the near future, what I can tell you, is that there are ongoing discussions about how we can better serve the public and the broader MBCT community. Spurred on by the generous work of Béatrice Weber Rouget, Françoise Jermann and Manuela Tomba, we are considering developing a French version of the website to provide access to members of the public and therapists who are more comfortable speaking French. Another interesting discussion has been around supporting trainees who are on the MBCT training pathway by developing a parallel listing within the register for MBCT supervisors worldwide. Neither of these initiatives will be simple or easy, but there is much in our collective commitment to this work that, I am hoping will motivate ACCESS MBCT’s continued growth for years to come. To be kept up to date with developments in ACCESS MBCT please join the ACCESS MBCT mailing list. Author note – Zindel Segal, PhD, Distinguished Professor of Psychology in Mood Disorder is the owner of mbct.com and ACCESS MBCT.